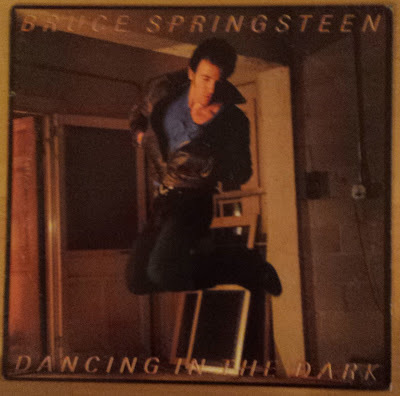 Yes, that leaping lothario is the Boss, posing for his "Dancing In The Dark" single cover. 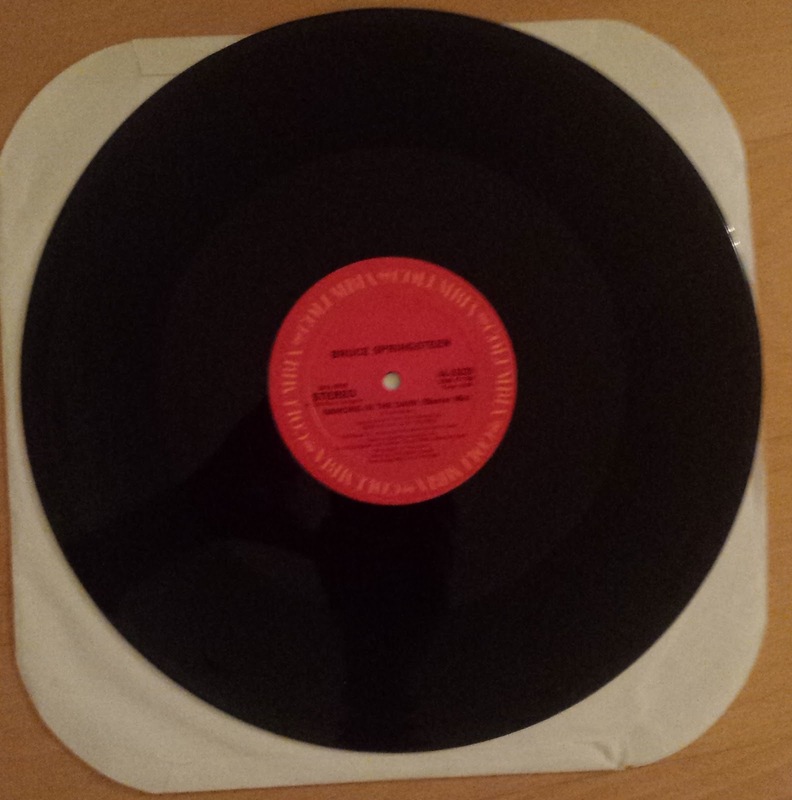 This particular record is an unusual 12" single, featuring a dance club "Blaster Mix" version of the song. But, I'm not here to break down the music, I'm just judging the aesthetics of the package. This cover is easily Springsteen's most active. 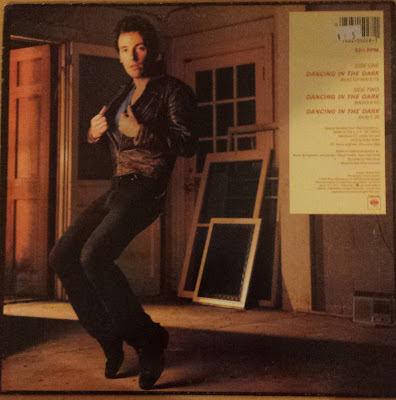 Most albums just show his face, and on the rare moments of below-neck Springsteen shots, he's just leaning on cars (Tunnel of Love), walls (back of Wild, Innocent, and the E Street Shuffle), or bandmates (Born To Run). Here, Springsteen is getting some serious air. And the moves don't just stop on the front cover. On the back, Springsteen gets right up on his tip-toes. Perhaps a challenge to the King of Pop himself, who was also huge in the mid-80s? He also tops off the move with a straightening of the jacket. Nice work, Bruce. 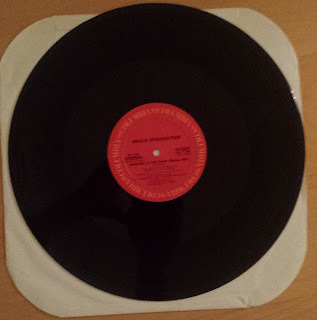 Finally, the record itself varies in no way, shape, or form from all of Springsteen's other Columbia records. I wore out this schtick in the previous six entries. So, that'll do it for this installment of Counting On A Package Deal. Hopefully, I can receive more random gifts like this one! Want to start your own record collection? Buy it on Amazon!